An interesting article written by ageneo’s CEO Dilsâd Babayigit, who moderated a symposium on “Germany as a production location – What’s the current state of our biotechnology competencies?” at this year’s German Biotech Days in Berlin. At this year’s German Biotech Days (Deutsche Biotechnologietage –DBT) in Berlin, ageneo played an active role. Ms. Dilsâd Babayigit, CEO of ageneo, was invited to moderate the symposium on the topic “Germany as a production location – What’s the current state of our biotechnology competencies?”. 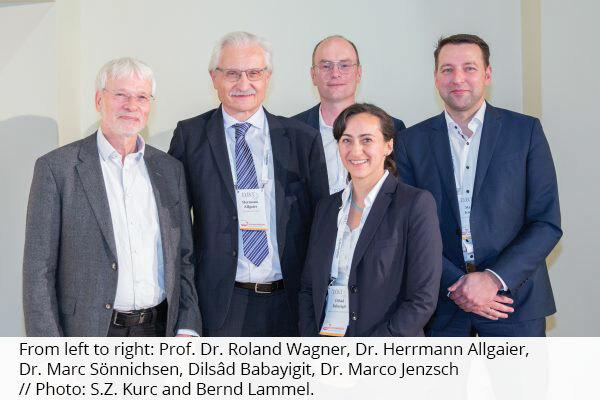 The invited speakers were Dr. Hermann Allgaier, Teva Biotech GmbH, Dr. Marco Jenzsch, Roche Diagnostics GmbH, Dr. Marc Sönnichsen, Sartorius Stedim Biotech and Prof. Dr. Roland Wagner, Rentschler Biotechnologie GmbH. Unlike many other exciting events at the DBT, which were designed as a lecture series, the topic “Germany as a production location” was discussed openly and quite controversially. Germany as a business location – Where exactly is “production” wanted? To begin with, the business location topic itself was discussed in this context. The speakers are all representatives of well-known and leading biopharmaceutical companies located in rural areas such as Laupheim, Guxhagen, Ulm and Penzberg. The company representatives agreed that it is very difficult to find and establish locations. Obtaining building permits for an industry that works with biotechnological processes and products is a challenge in Germany that requires political support. Large cities that attract a vast number of people and potential employees to biotechnology companies hardly allow large (and affordable!) areas for the manufacturing industry; although innovation and development hubs are welcome, “tangible production” however, not so much. Nevertheless, the speakers, in particular Dr. Hermann Allgaier from Teva Biotech, emphasised the attraction and many advantages of their locations: in addition to affordable living space and a high standard of living, he emphasised the advantage of knowledge in Germany in terms of specialists and managers, which definitely works for Germany as a business location. With its Genesis project, Teva has recently announced (and approved) an investment of almost 500 billion euros in Ulm. The German city Ulm has been able to come out on top in comparison to other global locations. In addition to the good geographical location in the heart of Europe, the available specialists and the solid education in Germany were all plus points for the location. Particularly in the field of biotechnological production, it is not (yet) possible to simply transfer the locations to low-wage countries. The technical and professional requirements as well as the need for a corresponding infrastructure in biopharmaceutics still speak for locations such as Germany. According to the speakers, the functioning of each location is closely linked to the available specialists and managers as well as their qualifications and education. Although the knowledge available in Germany was praised as an asset, the very generalist education and in particular the bachelor training path were criticised at the same time. Due to the very superficial education, young employees especially are not immediately “ready for action” at the start of their careers but will have to be trained and prepared for practice for a long time. In addition, it will become more and more difficult to find qualified and skilled people. Today, a solid apprenticeship is often no longer regarded as desirable. All speakers as well as the plenum in the discussion agreed that this is less an issue for the industry but more of a societal issue. Politicians have been campaigning for many years in favour of schools for further education and university careers – with success. Today, some primary school pupils are already being told that only the grammar school and a subsequent course of study are fit for the future. The devastating consequences this has for occupations that require an apprenticeship are shown by the statistics on open apprentice positions and the number of vacant positions. New Work and production – A contradiction? The topic of New Work was also addressed in the discussion. It has been playing a major role for years, especially in human resources. The renowned management consultancies have published studies and try to find out what tomorrow’s world of employment will look like, and even the life sciences cannot ignore the topic, if the industry wants to remain fit for the future. While some companies implement aspects of New Work – especially through appropriate work environments, flexible working hours and workplaces, as well as new ways and means of cooperation (just think of remote workplaces, “leading at a distance”, international teams etc. ), the implementation in the area of production is more difficult. Operation in shifts is a necessity, production can only take place where the necessary equipment is located. Home office, flexible working hours and mobility are much more difficult to implement in production than in other occupational fields. If you take a look at the new buildings that were presented at this year’s Pharma Congress, for example, you can clearly feel the New Work in the life sciences industries. Roche, for example, has built a new building in Kaiseraugst that can be described by all means as a showcase project of New Work. Open spaces, plenty of space for working and exchanging ideas, cleverly designed lighting and air concepts, integrated park landscapes for a balance between work and life, cafés and restaurants, several atrium areas and much more. Nevertheless, implementation is very costly and although development centres and administrative buildings are often very contemporary and modern, there is only limited change in the area of production. So, what to do? Prof. Dr. Roland Wagner from Rentschler Biotech emphasised the problem of mobility: while it is demanded everywhere, especially by employers, there is often a visible lack of it on the part of potential employees. They argue that they cannot and do not want to move for a job, and especially “moving to a smaller city” is an almost insurmountable obstacle for young people and families. One can certainly agree with this attitude. University cities attract students magnetically, and they often remain loyal to the cities. If we recall the business location topic once again, the dilemma for production locations becomes very clear. Production still frequently takes place in smaller cities or rural regions – rarely in the large cities. However, the trend to move to large cities does not stop, which means that the issues of business location and specialists and managers continue to correlate closely. Is it all a question of image? In addition to the topics already mentioned, the speakers also discussed the question of image. What exactly does the image of biotechnology look like? As the DBT has repeatedly pointed out, there is a rather contradictory opinion on biotechnology. While the population regularly protests when it comes to biotechnology in food, the biotechnological industrial products are rated very positively. When it comes to pharmaceuticals, ignorance and uncertainty tend to prevail. At the same time, the pharmaceutical industry’s negative image tends to have an impact on biotechnology, as Dr. Marc Sönnichsen of Sartorius Biotech pointed out. In addition to the question of image in relation to the industry, the question of image in relation to the occupational field was also an important one. Is the area of production really “attractive”? The symposium concluded with a lively discussion on this topic. Although research and development was initially regarded as more attractive and “hip”, the speakers agreed that the area of production was just as attractive. Production stands for reliability, productivity, efficiency and technology orientation. The values that the speakers associated with “their” professional field were a clear plea for the production. One conclusion that can certainly be made from this is that there is simply not enough “advertising” for the professional field of production. There is always talk of R&D hubs, innovation centres etc. which experience a strong public perception. Production remains in the background. In our opinion, there is also a need for some advocates and a clearer message in the area of production. Production is not only necessary, but sustainable and exciting at the same time.